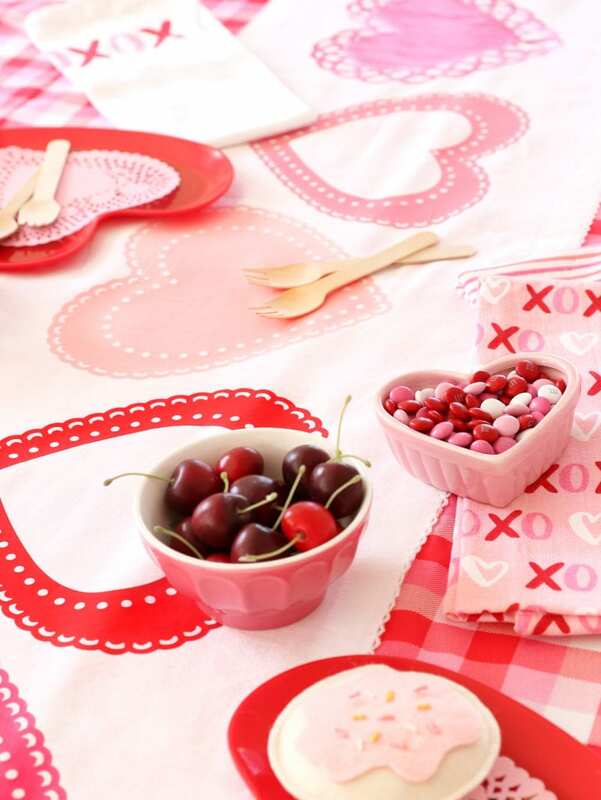 Is it terrible that I get WAY more excited to decorate for Valentine’s Day than I do to decorate for Christmas. 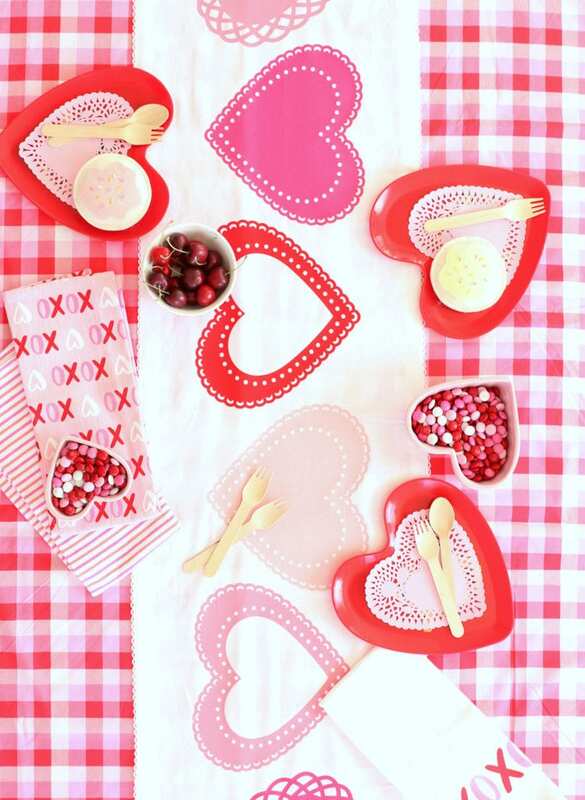 Around here, Valentine’s Day is my JAM. 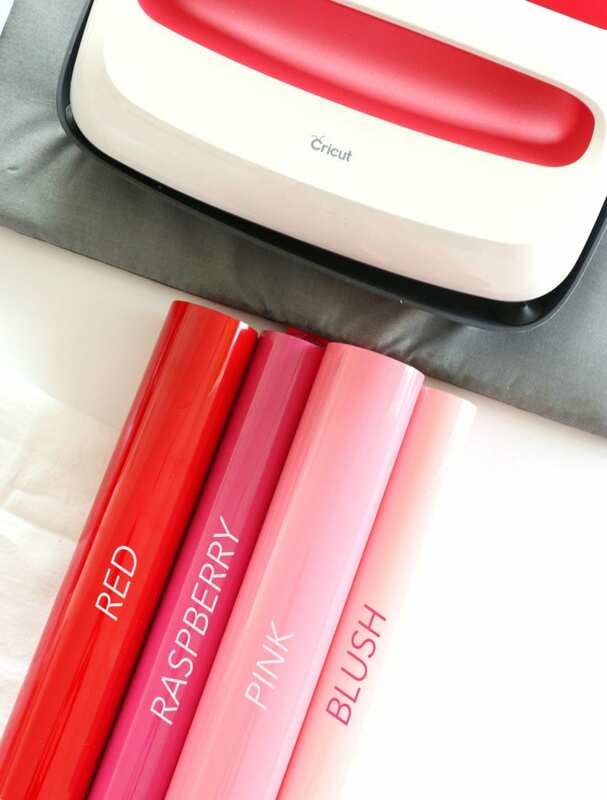 In my book, there is no such thing as too much pink & red…the limit does not exist. 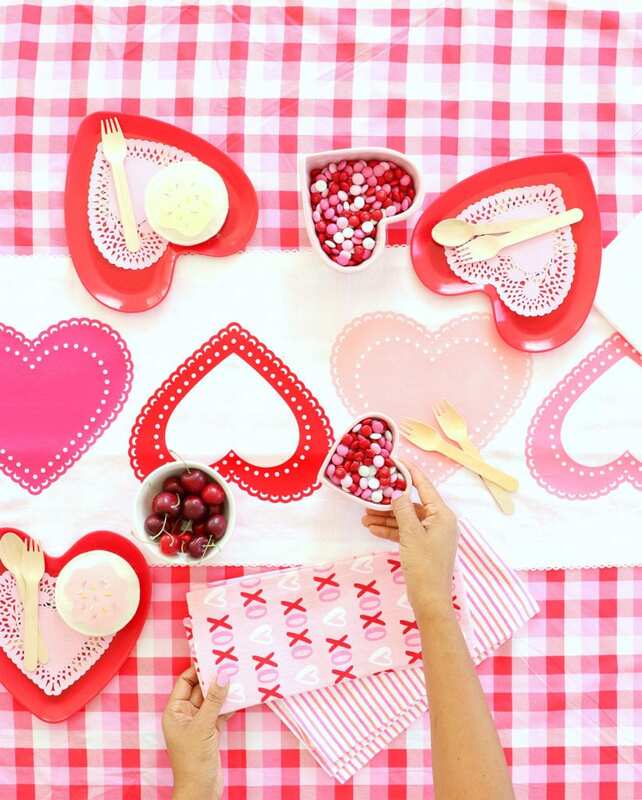 In my efforts to get you in a Valentine’s decor state of mind, I’m delivering a tablescape that is totally magazine worthy – but won’t break the bank. I recently saw this table runner from Crate & Barrel…but alas, it’s no longer available…and truth be told, I figured I could create a cuter version. So here we go. 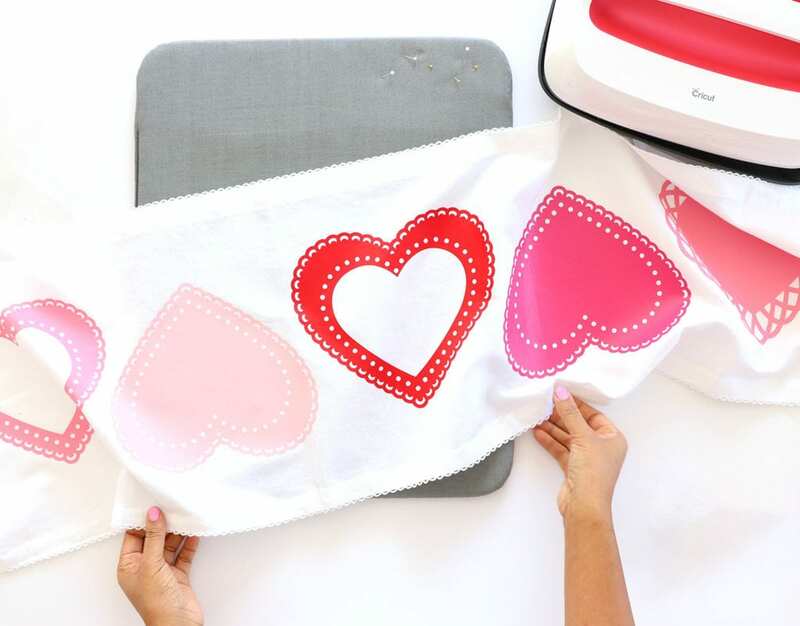 To create the intricate heart shapes on the table runner, I knew I’d need to pull out my Cricut. 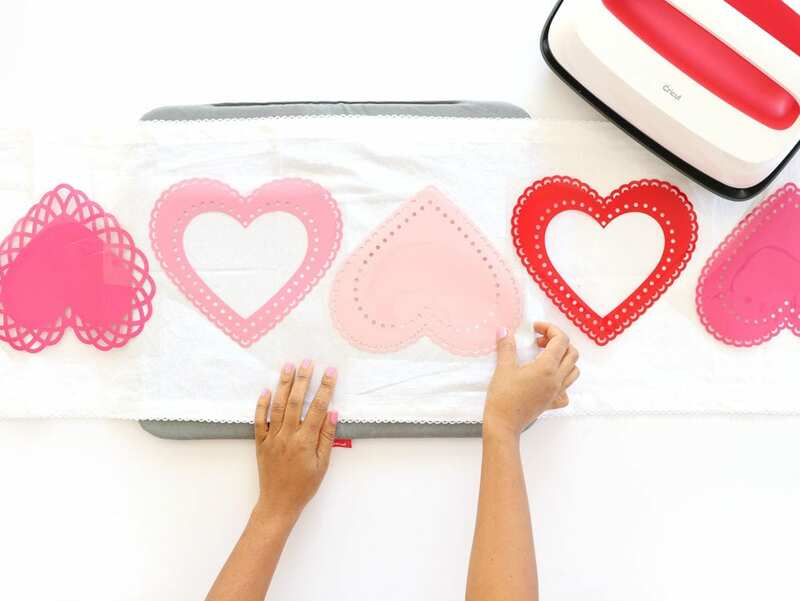 I’m not sure how your roll, but I have no interest in cozying up to a pair of scissors to cut out a bunch of doily hearts! Sounds like a special kind of torture. 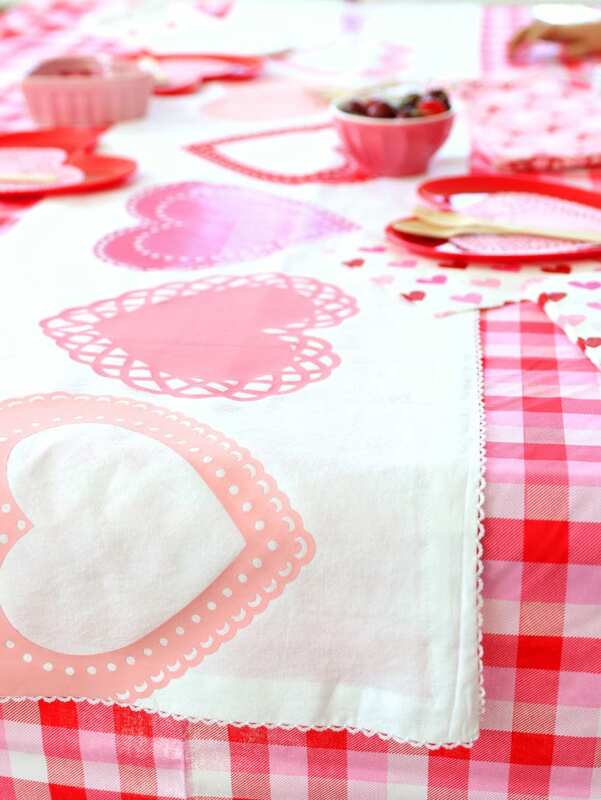 In addition to my Cricut here’s a look at the other supplies I used to make this Valentine’s Day Table Runner. 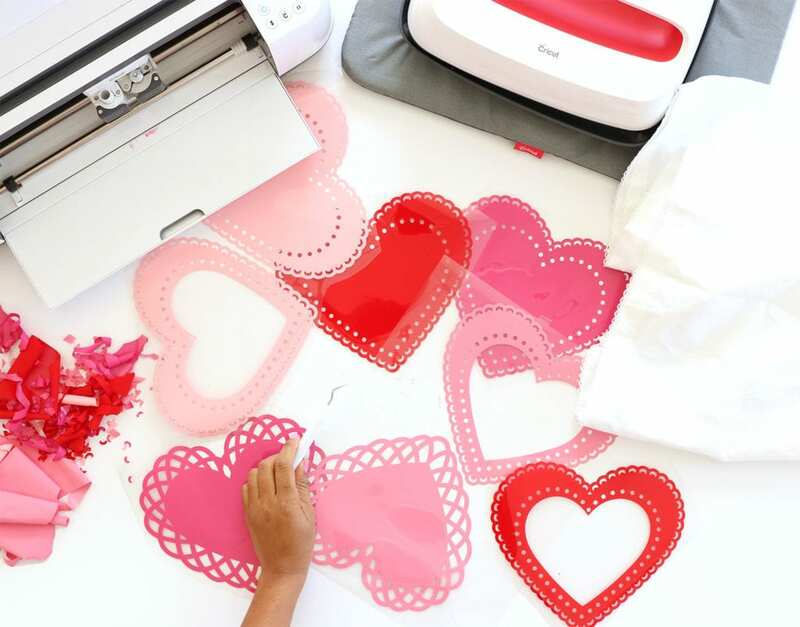 Start by using your Cricut machine to cut out the heart shapes. You can use THIS Design Space Canvas! Once you’ve cut all the heart shapes you’ll need to weed out all the excess pieces. Alternatively, you can cut the iron-on material using the “cardstock” setting on your machine. This will cut all the way through the material and eliminate the need to weed! 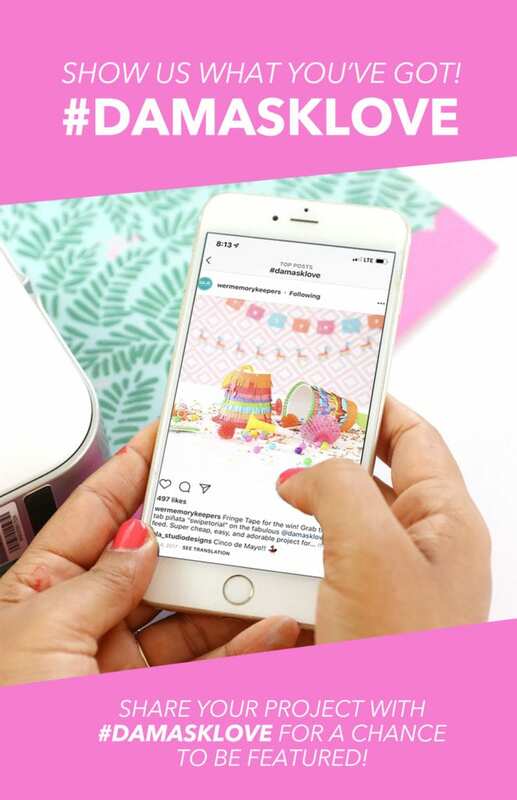 Turn on your Easy Press and use the Easy Press Interactive Settings Guide to select the correct temperature and timing. 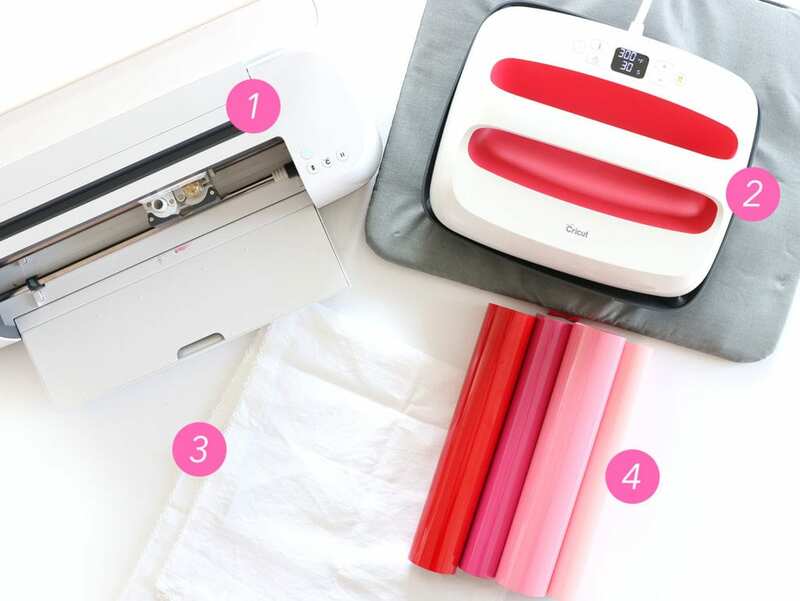 Place the Easy Press onto your table runner. Be sure to also apply heat to the under-side of the table runner! 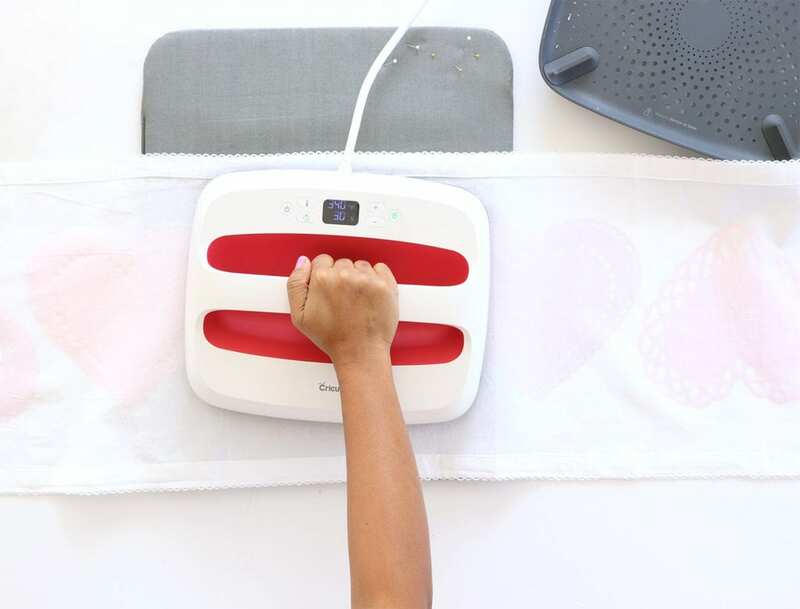 This will help make sure to the iron-on material is really stuck into place! 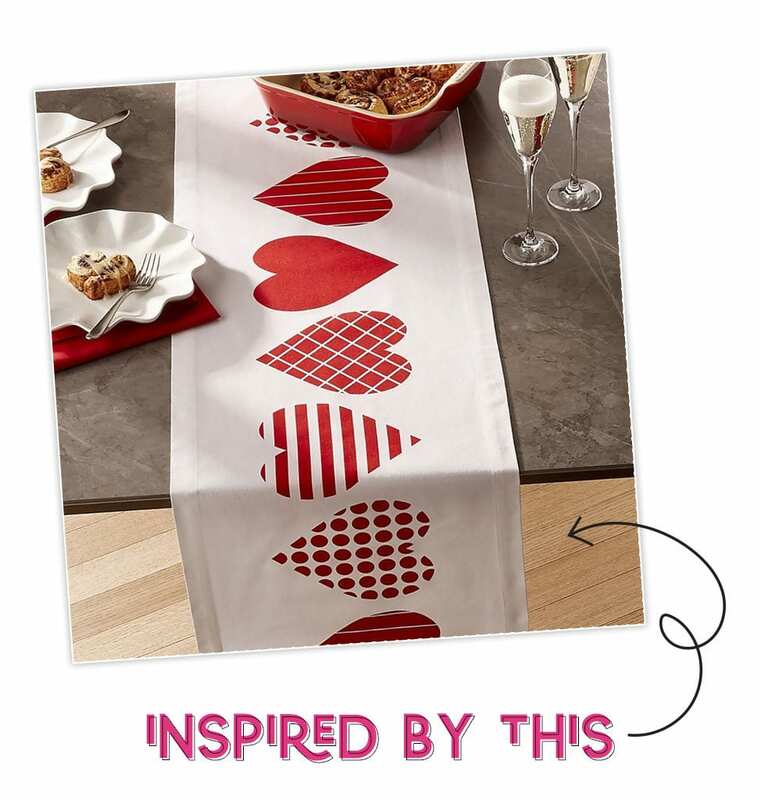 When you’re done, make sure to peel off the clear backing and you’re ready to enjoy your beautiful table runner and live your very best Valentine’s Day life! 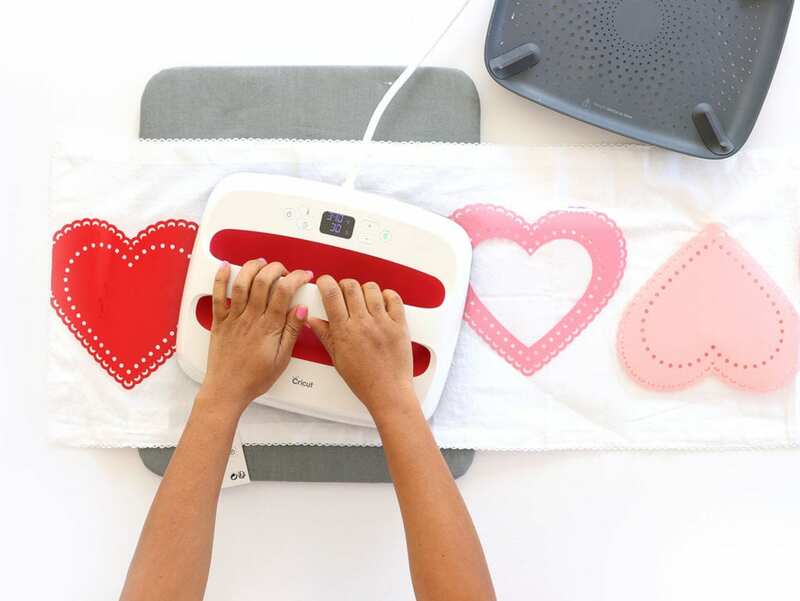 Are you inspired to create something beautiful for Valentine’s Day? Be sure to share it on social media with the #DamaskLove hashtag!